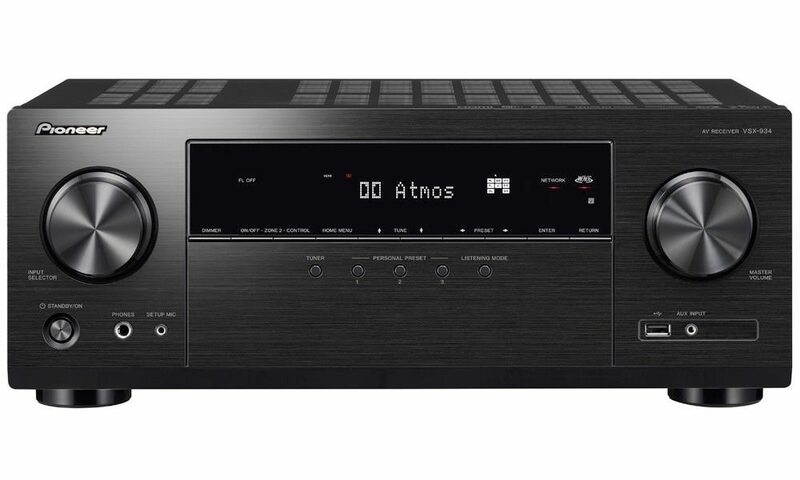 NAD introduced the L 73 DVD Surround Sound Receiver, offering the same level of performance associated with their full-size separates in an elegant, compact design. 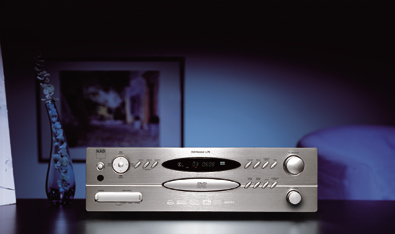 The L 73 supports playback of DVD -Video, DVD-Audio, VCD, CD, CD-R, CD-RW, and MP-3 disks. The integrated MP-3 decoder is capable of delivering more than 10 hours of music from a single MP-3 encoded CD-R. Designed to complement today’s advanced video displays, its gleaming Titanium finish and elegant proportions make a sophisticated design statement. Offering the performance of separate components with all-in-one convenience at an affordable price makes the L 73 an ideal choice. NAD made no performance compromises in their quest for convenience and style. Unlike the “Home Theater in a Box” systems that include speakers (usually of questionable quality), the NAD L 73 allows complete freedom to choose speakers that fit your decor and suite your taste in sound. The L 73’s DVD section features progressive scan via the Component Video output, and there is an additional Component Video input for adding a high definition satellite or other set-top box. 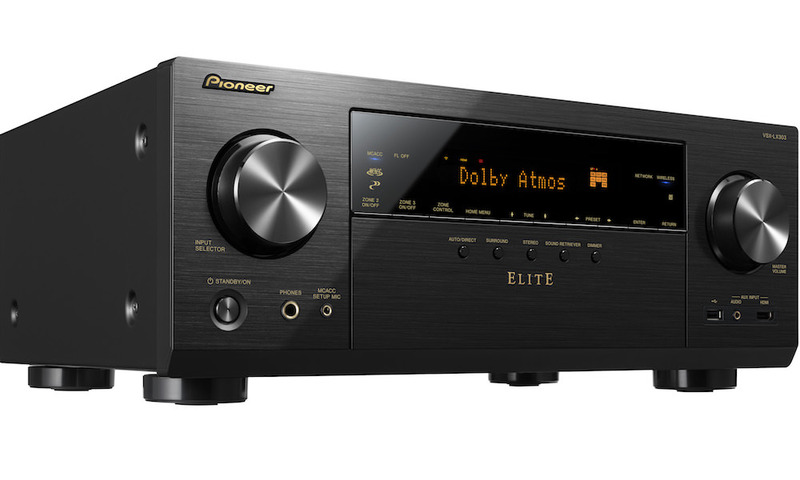 The L 73 automatically detects and decodes DTS or Dolby Digital bitstreams. Besides these modes, Dolby ProLogic II, Dolby Virtual Speaker and Dolby Headphone are included. Additionally, NAD’s proprietary EARS (Enhanced Ambience Recovery System) circuitry uses DSP technology to extract the natural ambience in a stereo recording and redirect it to the surround channels, creating a warm natural reverberant effect without any artificiality. 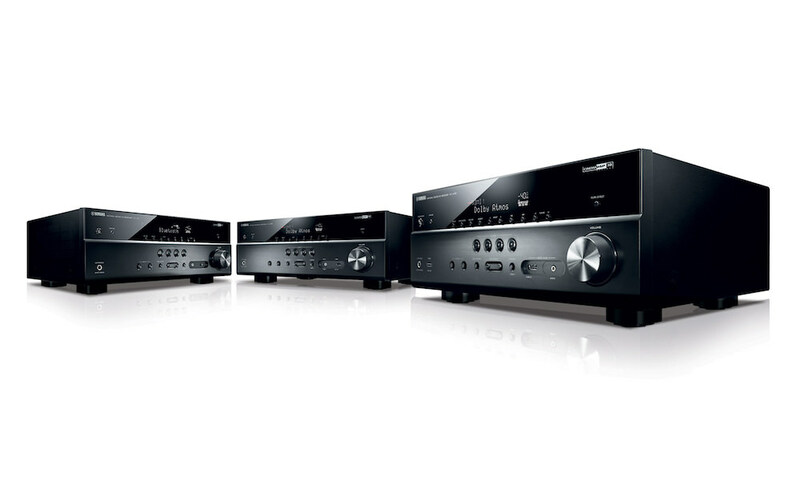 As the new surround sound formats allow for the same wide bandwidth and large dynamic range for the rear channels as for the front channels, all five channels are capable of putting out an equal and substantial amount of power. The L 73 delivers 45 wpc of full-disclosure power with ALL five 5 channels driven simultaneously into 8 ohms. As usual with NAD, the L 73 uses only discrete output stages, including the surround channels. While most products in this category use digital IC amplifier modules, NAD’s discrete output design allows them to achieve their exceptional specification with regard to noise (-105dB S/N ratio) and distortion (.08% THD). Moreover, despite its physical size, the L 73 is more than powerful enough to provide a satisfying cinematic or musical performance. As one would expect from NAD, only high quality components have been used, such as high resolution ADCs (Analogue-to-Digital Converter) and DACs (Digital-to-Analogue Converter) from renowned manufacturer Crystal, to obtain the best possible performance. 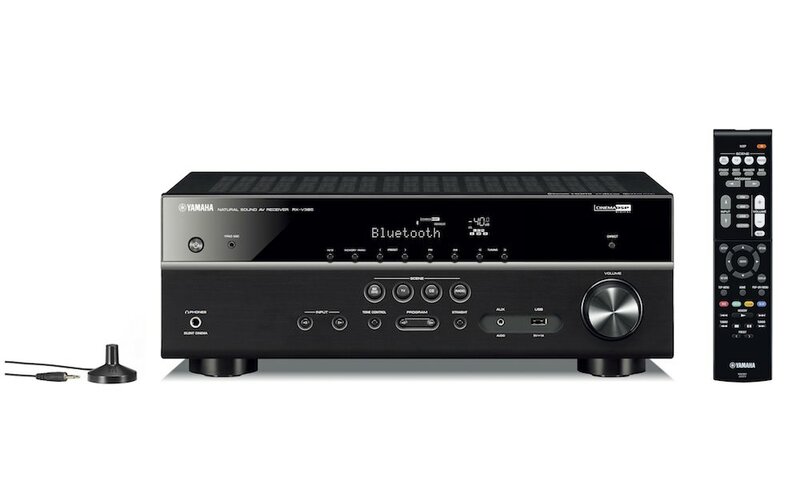 Like the most sophisticated surround receivers, the L 73 provides a line-level output for connection to a powered subwoofer. It is quite flexible, offering three additional video sources, one of which is front panel accessible for easy connection of cameras and game consoles. 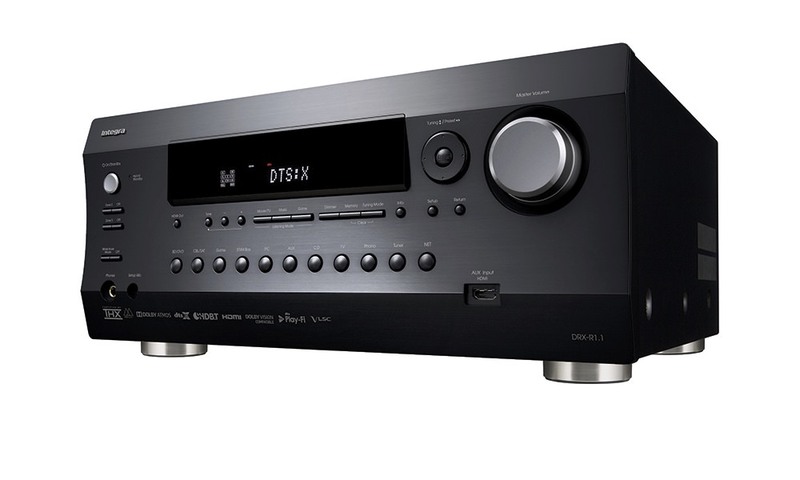 In addition to the integrated tuner and DVD/CD player an extra 6-channel source can be connected, allowing for a total of six possible sources. One of the video sources is supplied with a Component Video input and both have S-Video and Composite connections. There are also Component Video, S-Video and composite video outputs for hooking up the L 73 to the high quality video display of your choice. There are also two digital inputs (one optical, one coaxial) for extra sources. For a digital connection to a CD recorder or other digital recording device, the L 73 features an optical digital output. Taking the L 73 a step further than many other compact designs it is equipped with high quality loudspeaker binding posts. The L 73 is simple and straightforward to set up and operate with a wide range of features such as Multi-Angle*; Multi-Sound*; Multi-Subtitle*; Frame; Zoom and Repeat. The Frame Advance feature advances the picture one frame at a time and the 6 step Zoom function highlights and enlarges a particular area of the frame. 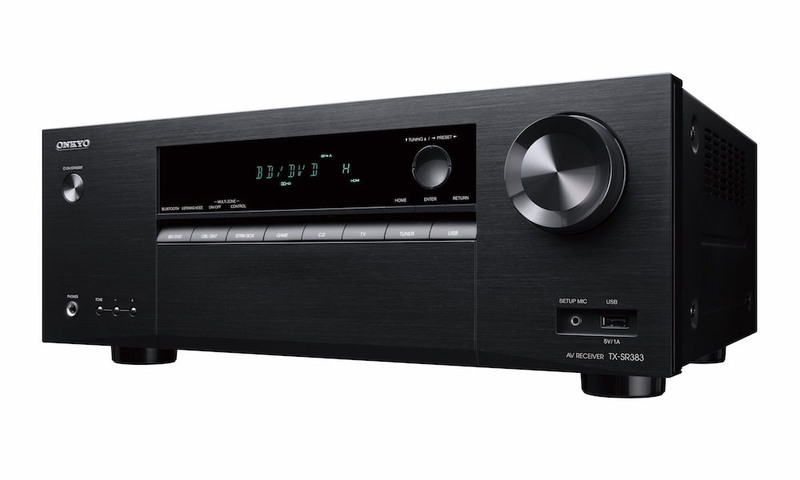 The AM/FM tuner includes 30 favorite station presets that can be custom named, or if the station supports the Radio Data System (RDS) an automatic stream of information about the station and music being played is displayed. All features are easily accessed with the supplied HTR-L73 Learning Remote. It can operate your TV, VCR, satellite or cable tuner, and almost any other IR remote controlled device. The logical layout and illuminated keys make operating you’re A/V system straightforward and enjoyable, and the HTR-73, with its ability to learn the remote commands of up to eight different devices, eliminates the clutter of multiple remote handsets. The L 73 will be shipping early 1st Quarter 2005 with the suggested retail price of $999.